(ABS) is a commonly used thermoplastic as it is lightweight and can both be injection molded and extruded. It has better mechanical properties than HDPE and less brittle than PLA but handles higher temperatures better for applications such as extruder's and X-carriages setups without a fan. ABS is good because it is easier to buy and requires less force to extrude than PLA as it has a lower coefficient of friction. This makes its extrusion characteristics better for small parts, compared to PLA. The downside of ABS is that it has to be extruded at a higher temperature: Its glass transition temperature is ~105 °C. ABS is amorphous and therefore has no true melting point, however 230°C is the standard for printing. (PLA) is a biodegradable thermoplastic aliphatic polyester derived from renewable resources, such as corn starch (in the United States and Canada), tapioca roots, chips or starch (mostly in Asia), or sugarcane (in the rest of the world). In 2010, PLA had the second highest consumption volume of any bioplastic of the world. The name "polylactic acid" does not comply with IUPAC standard nomenclature, and is potentially ambiguous or confusing, because PLA is not a polyacid (polyelectrolyte), but rather a polyester. PLA has a crystallinity of around 37%, a glass transition temperature 60–65 °C, a melting temperature 173–178 °C and a tensile modulus 2.7–16 GPa. 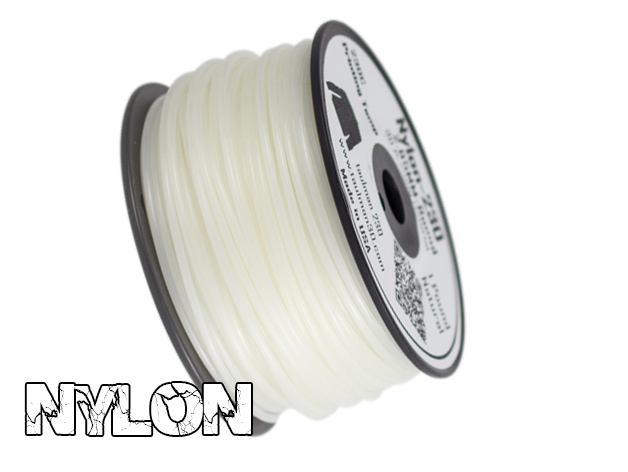 Nylon is a very strong material but more difficult to print than PLA. It doesn't stick well to Glass or Aluminum platforms surfaces and may warp. You can try printing on wood. It sticks very well to Polymide tape (Kapton), i.e. removing the part can pull off the Kapton tape. Printing tips for Bridge Nylon: Print slowly, print larger layers (e.g. 0.2 to 0.3), fan = off (50% for small objects), temperature = 255ºC, bed temperature = 45C or more (e.g. I use 65). PET (Polyethylene terephthalate) is an industrial strength filament with several great features. It&apos;s strength is much higher than PLA, it is FDA approved for food containers and tools used for food consumption, it barely warps, and produces no odors or fumes when printed. PET filament is not biodegradable, but it is 100% reclaimable. 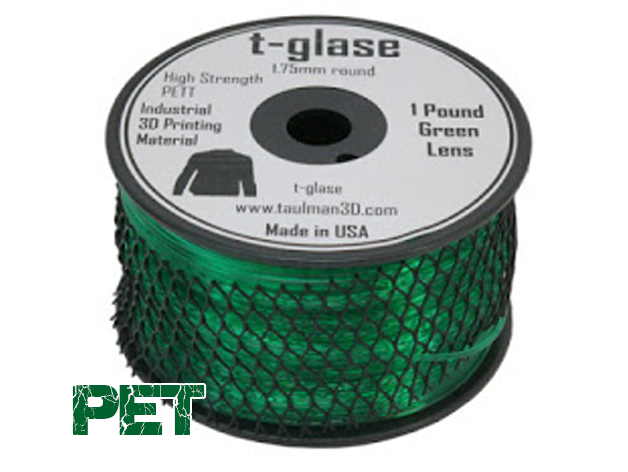 PET 3D printer filament is known for its clarity and is also very good at bridging. Extruder Temp: 230-255 °C, Bed TEMP: 55-70 °C, BED ADHESION: Blue Painters Tape. TPE filament is a flexible 3D printing material that feels and acts much like flexible rubber. TPE filament can be used to make parts that can bend or must flex to fit their environment - stoppers, belts, springs, phone cases and more. This extremely flexible 3D printer material will allow you to create 3D prints that will have the properties of a soft rubber, making it even more flexible and elastic than our Soft PLA filament. 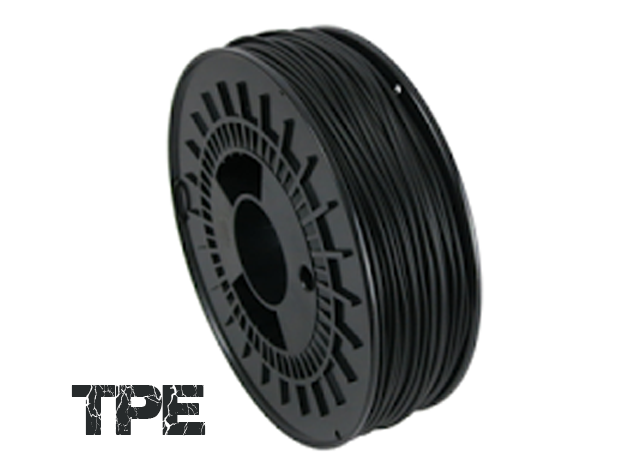 TPE 3D printing filament is available in 1.75mm and 3mm. LAYWOO-D3 is a wood-like 3D printer material that gives 3D printed objects the look and feel of fiberboard. It also imbues parts with other wood-like attributes, such as the ability be cut, painted, and sanded. LAYWOO-D3 is made from a combination of recycled wood particles combined with polymer binders allowing it to be melted and extruded through your 3D Printer. It is possible to give parts printed in LAYWOO-D3 a simulated alternating light/dark wood-grain appearance by varying the extruder temperature during printing. 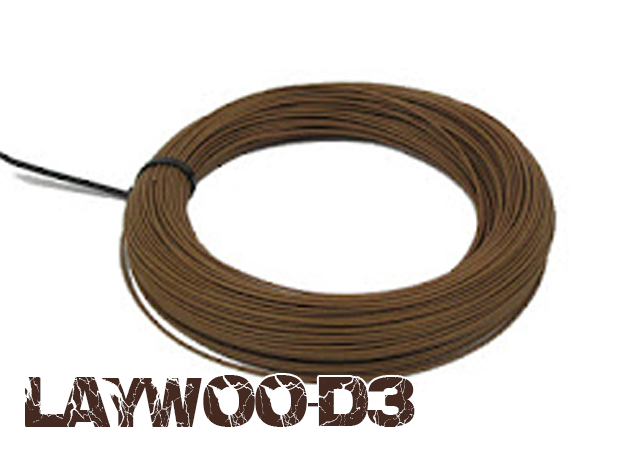 LAYWOO-D3 is available in a 1.75mm or 3mm unspooled rolls. Extruder Temp: 175-250 °C, Bed TEMP: 30 °C, BED ADHESION: Blue Painters Tape. Conductive ABS Filament is a modified version of our standard ABS filament, which has a resistance of 1200 ohm/cm. 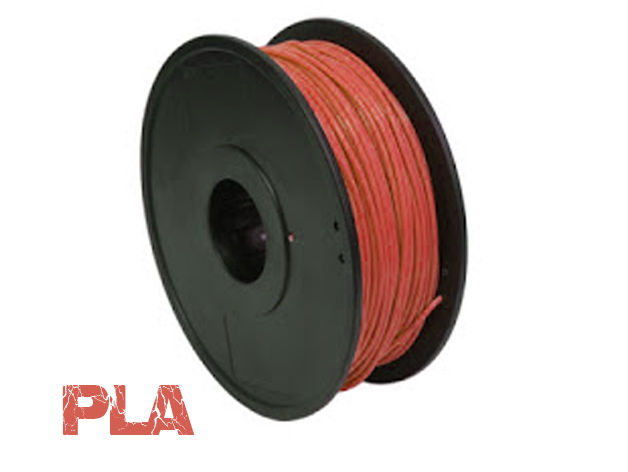 This filament works with all ABS compatible 3D printers. 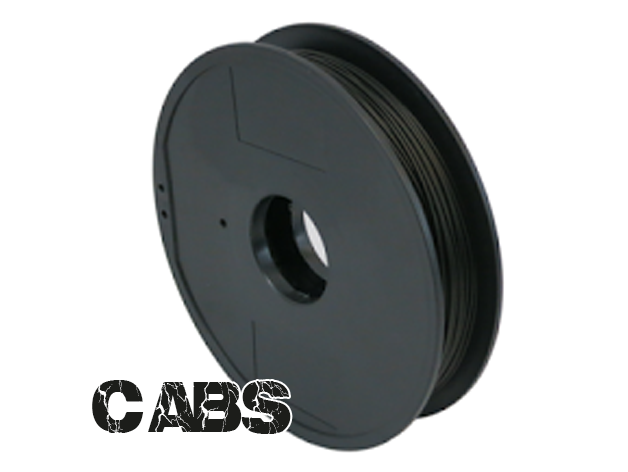 Conductive ABS filament is available in 1.75mm and 3mm. Extruder Temp: 225-260 °C, Bed TEMP: 90-110 °C, BED ADHESION: Kapton Tape/ Haispray.